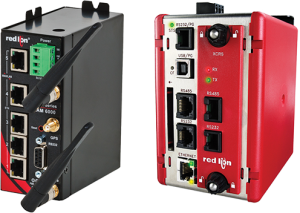 Skkynet’s Embedded Toolkit (ETK) is now available as an install package for Red Lion Sixnet® series RAM® cellular RTUs or IndustrialPro® cellular routers you can view your data on the Web with SkkyHub™, feed an industrial SCADA platform with DataHub®, or connect to other devices and systems. Additionally, installing a Red Lion Data Station Plus protocol converter provides you the ability to communicate bi-directionally with over 300 industrial protocols to seamlessly integrate legacy equipment. With this unique offering, there is no software to compile, all you need to do is load the package and configure your data points right on the device. Now accessing one remote facility or combining the data from 100 facilities couldn’t be any easier; no programing, no VPN’s to configure and no open firewall ports anywhere! Skkynet delivers secure, bidirectional, real-time communication. 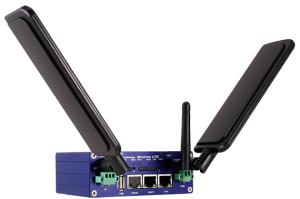 The B+B Spectre 4G LTE cellular / wi-fi router, provided by B+B SmartWorx, aggregates raw data from disparate devices and protocols, and transforms it into useful information. SkkyHub™ provides secured, end-to-end bidirectional connectivity between the B+B equipment and end users at all levels, from operators and plant engineers to managers, analysts, and customers. Skkynet’s Embedded Toolkit (ETK) is available for installation on NetComm’s NTC-6200 series of gateways for wireless M2M connectivity, enabling industrial automation engineers and managers to establish secured, real-time connections between remote devices and existing control systems, using Skkynet’s SkkyHub™ service. 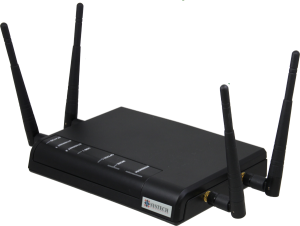 The NTC-6200 series of wireless routers connects to worldwide 3G networks at speeds of up to 14.4Mbps. With no dependence on a landline, they can be deployed in any location to allow remote access, monitoring and control of connected devices. Featuring Ethernet, serial (RS232/422/485), USB 2.0 and Modbus TCP connectivity, the NTC-6200 series can interface with a diverse range of equipment used in a wide variety of vertical applications. Skkynet’s Embedded Toolkit (ETK) runs on the Systech® SysLINK™ M2M Gateway, which supports a wide variety of sensors and devices for monitoring and control purposes. Linked to SkkyHub™, it can be used to collect, process, and distribute real-time information over networks, locally and remotely. With this combination of hardware, software, and service, data-intensive organizations can safely and securely manage, supervise, and control industrial processes, embedded devices, and financial information systems. The SysLINK M2M Gateway provides M2M connectivity for multiple IoT applications. Optional wireless interfaces include Wi-Fi, 2G/3G/4G LTE cellular, ZigBee, Z-Wave, and Bluetooth. 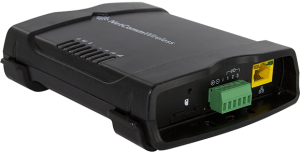 Wired interface options include digital I/O ports, serial ports, and analog dialup ports.